Christina Rasmussen caught up with Dermot Sugrue, the English sparkling winemaker who is, arguably, one of the most influential figures in English wine. 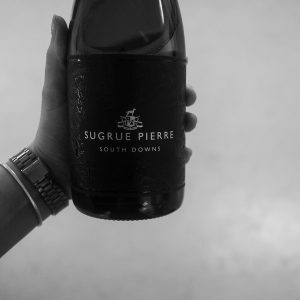 Aside from being the winemaker of Wiston Estate Winery and Sugrue Pierre, Dermot also makes wine for many other domaines including Jenkyn Place and was the head winemaker at Nyetimber. Before a tasting of the latest vintages with full tasting notes, Dermot provides an insight into his techniques and philosophy. All of the photos were taken by Christina. On a beautiful English Spring day, I drove down the A23 from London to the South Downs. 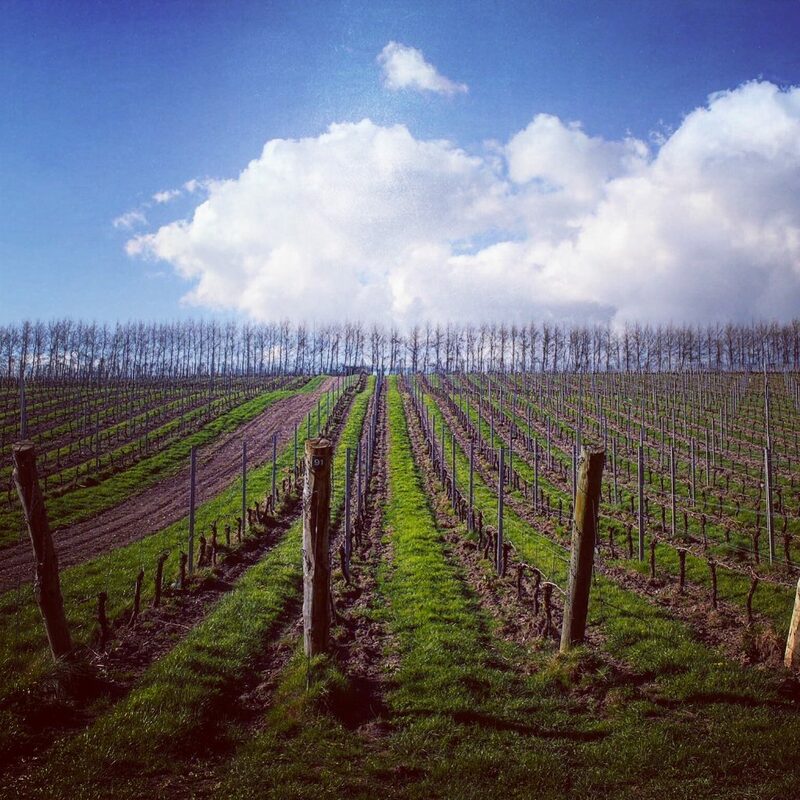 Wiston Estate Winery is situated next to Chanctonbury Game – resonating well with eating and drinking as locally as possible. Dermot Sugrue. 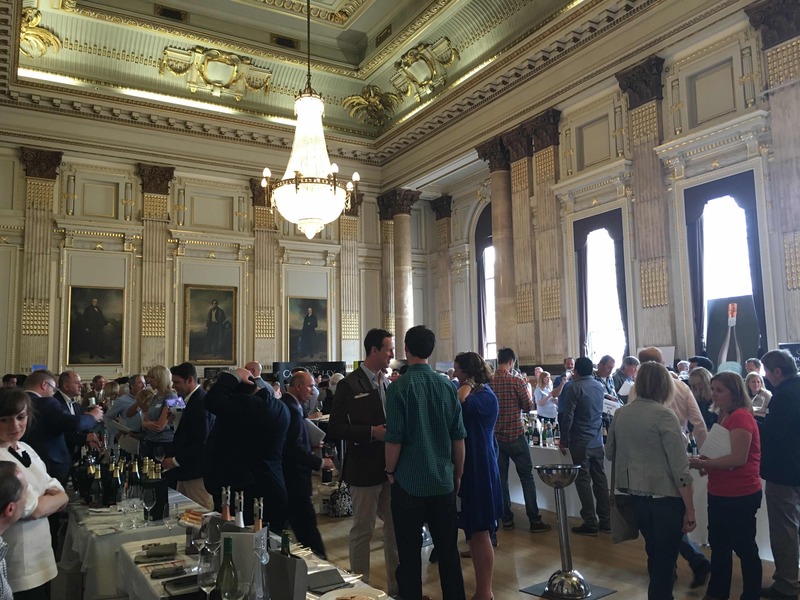 You cannot underestimate his importance to the English wine industry. I parked up next to a big old building, where Dermot came to meet me. He took me outside, round to the entrance, where there was a sign for a car factory, explaining that it had originally been a turkey abattoir before being converted into a car workshop, before finally finding its place as the Wiston Estate Winery. Turkey souls floating around amongst the barrels. Meanwhile, Noodles and Tara, Dermot’s two greyhound crosses, followed us loyally everywhere we went. Perhaps they were looking for the turkeys. The winery was founded in 2008. 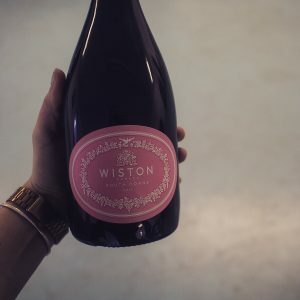 Today, 25% of production accounts for Wiston wines, and Dermot makes wine for the other 75% – most commonly from grapes received from other domaines, but also from still wine received from other wineries. 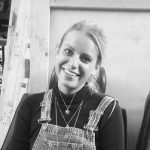 For example, Bothy Vineyard in Oxfordshire, where they make tiny production wines from all sorts of rare and interesting varietals, Dermot will be “putting the bubbles” into their blend of Rondo, Regent and Dornfelder, Huxelrebe, Findling, Perle and Bacchus. The production is tiny just 1000 or so bottles. 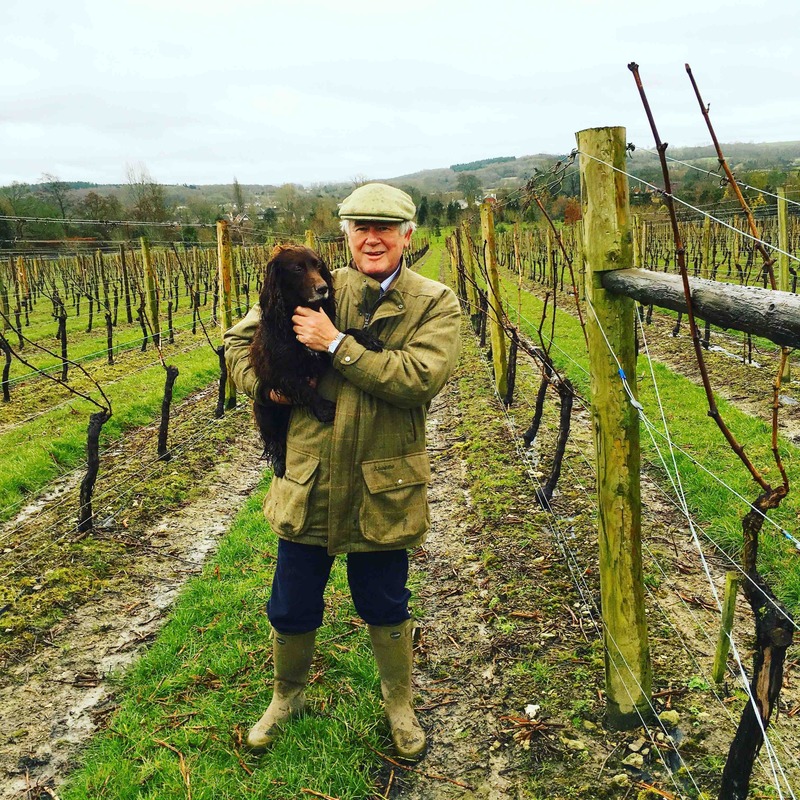 He also makes wines for many other well known wineries in the UK – Jenkyn Place, Coldharbour, English Oak Vineyard and Digby to name but a few. Dermot began making beer when he was 15, and then wine at 16 – out of any fruit he could find, as well as importing grape juice. 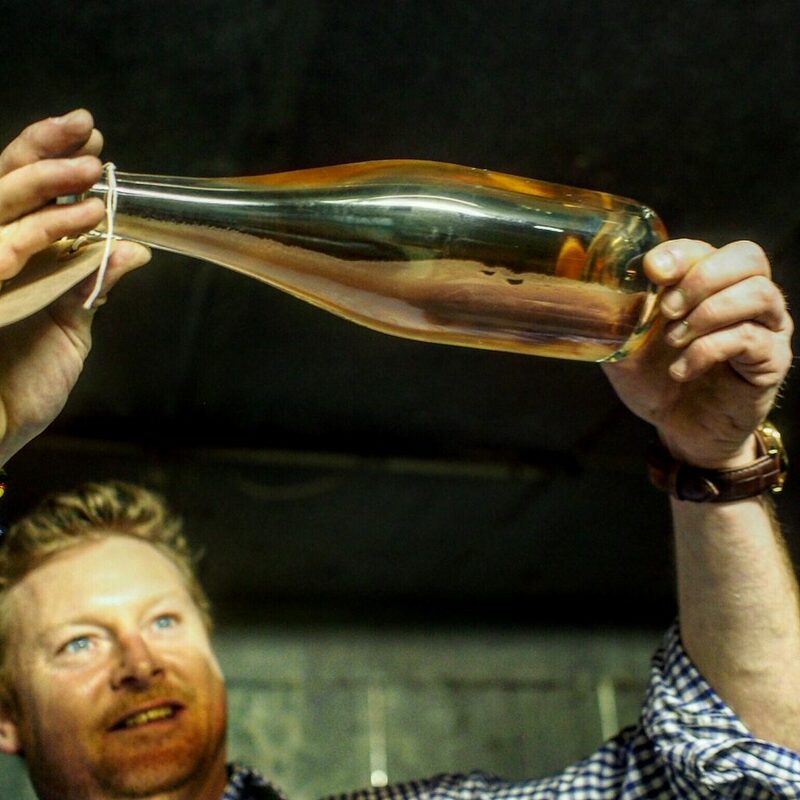 It’s his passion, which led to him becoming head winemaker at Nyetimber, and then led him to Wiston in 2008. 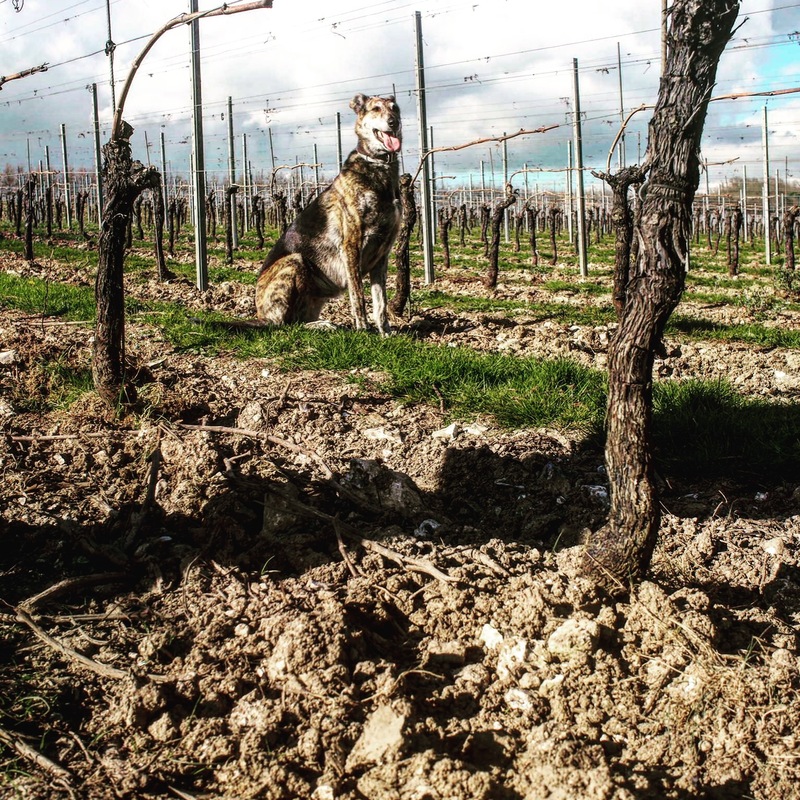 Vineyard and winery work is carried out meticulously. Harvest is done by hand in small crates, and loaded by hand into the gentle bladder press. 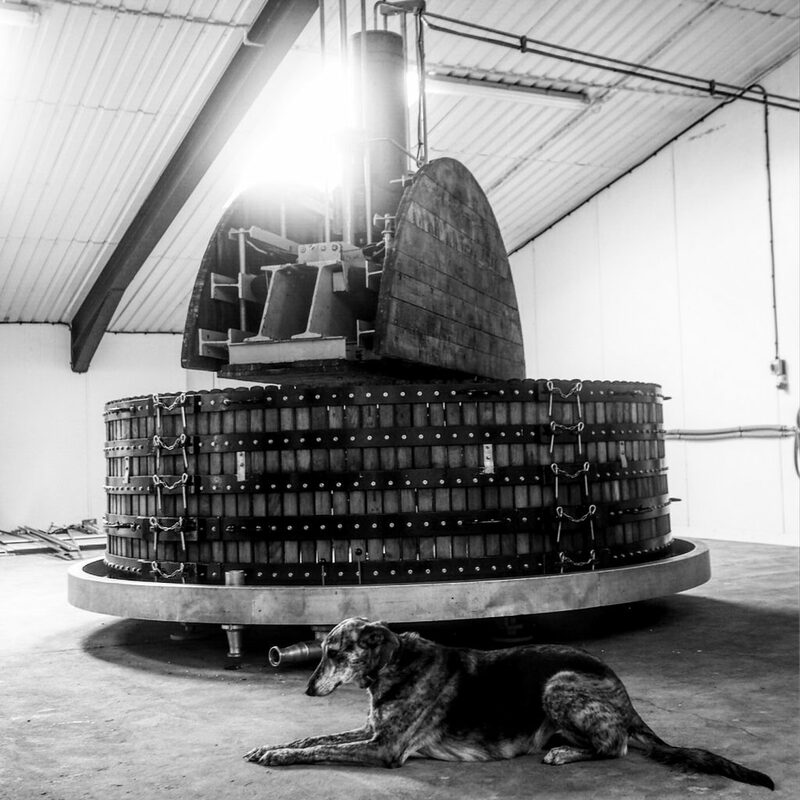 Meanwhile for the Wiston wines and Dermot’s own Sugrue Pierre wine, pressing takes place in this rather beautiful Coquard press. It is unique to the UK and one of only four outside of France. It was created in 1973 and previously belonged to Champagne Martel. It is incredibly gentle, taking approximately four hours, and is tough work – carried out by some strong Lithuanian guys who have to “break the cake” four times during each press cycle. The wine is then gravity fed. Wine is aged in what was once a freezer for the aforementioned turkeys – a big, cool, insulated, fairly creepy room that one might imagine as a good setting for a horror film. Dermot explained this to me with such happy enthusiasm. It means, of course, that the room has ideal temperatures for ageing wine. Amazing. Who would have thought that turkey death could equate to fantastic winemaking? We hopped in the car to go to the Wiston vineyard, just round the corner. Spraying is kept to a minimum but, due to climate is necessary – downy and powdery mildew as well as botrytis can cause huge issues in English vineyards. That’s England for you… unpredictable, but capable of incredible things. Wiston is also one of the few estates in the UK to have high plantings of Meunier. The base wine here is 2014, with additions of 2013 and 2009. Some wine is barrel-aged. Zesty on the nose with lots of lemon and a distinct mineral/chalky edge with some fresh dough notes. A little pith and some lime and apple on the palate, with a delicious light biscuit finish. Aged in tank here. 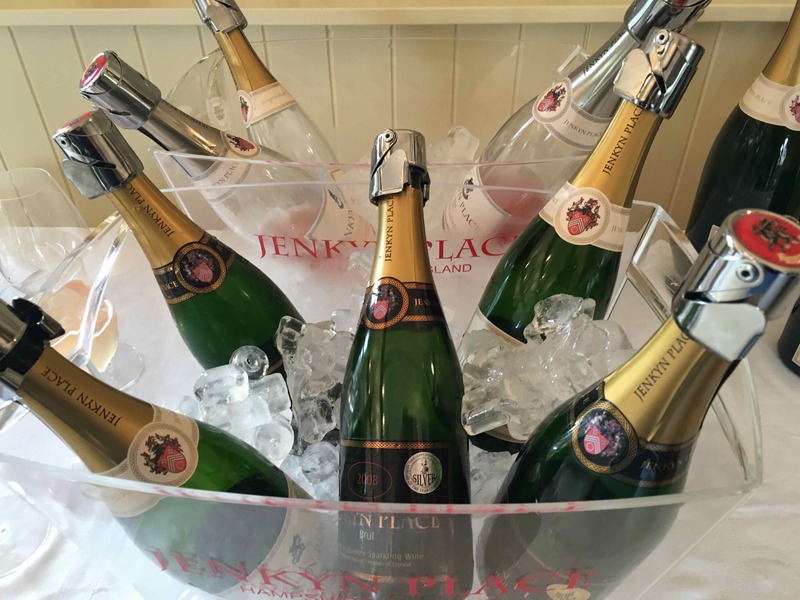 This is a richer example on the nose, with tons of fruit – particularly red apples (from the Meunier) and apple skin, with a lifted citrus edge. 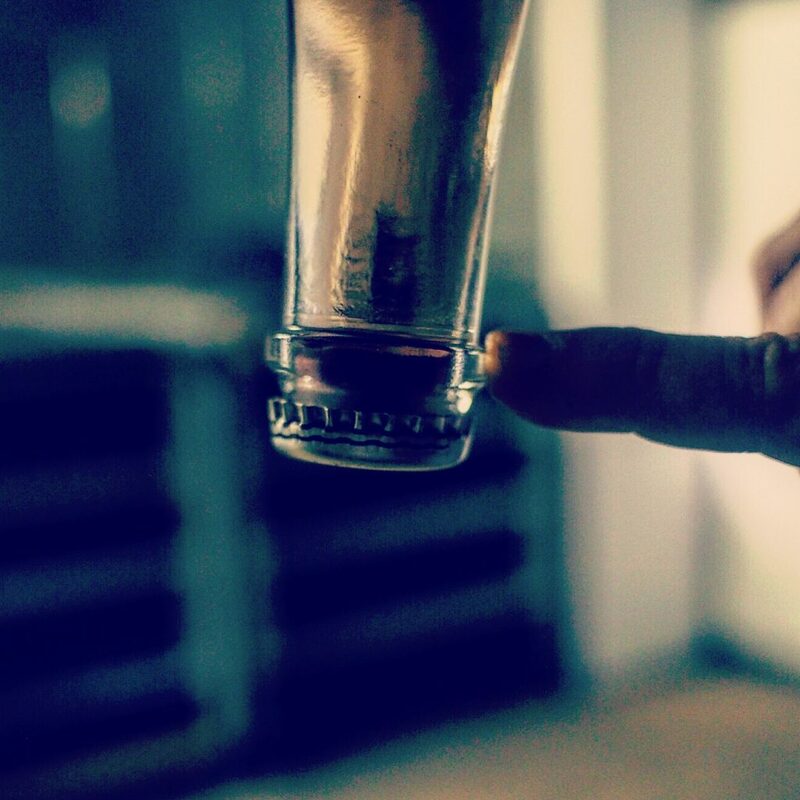 It has a lovely yeasty complexity on the palate, with a soft creamy texture. Very drinkable. Due to an exceptional year – small crop from flowering and heat wave in September – this wine has incredible concentration. Indeed it hadn’t been intended as a rosé, but the concentration was such that the wine coloured naturally. It was the warmest September in meteorologically recorded history. It’s the most breathtaking English wine I have tried to date. A lovely, lifted, elegant nose: wild strawberries, with some rose and nutmeg. On the palate there are more wild strawberries, raspberries, soft cherry notes and some lovely pear – possibly from the Chardonnay. It has an exceptionally long finish. Dermot also makes his own wine. 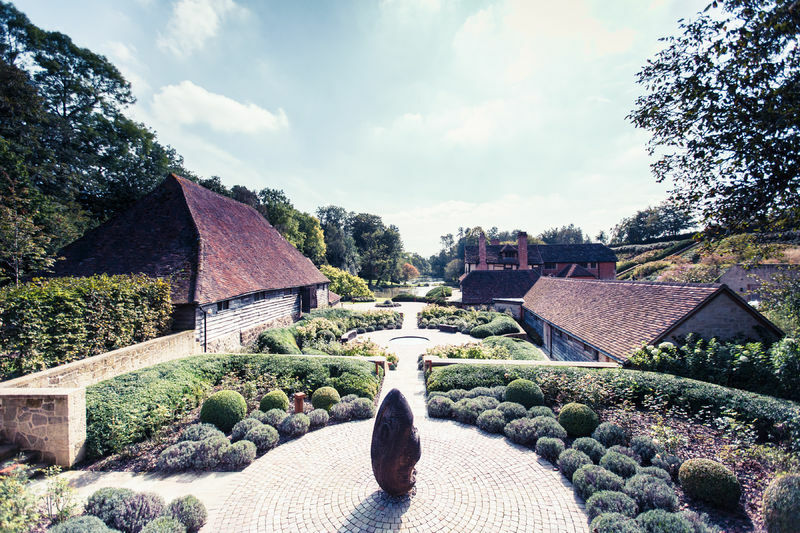 This comes from Storrington Priory at the foot of the South Downs, and more recently also includes fruit from an exceptional site: Mount Harry in Lewes, East Sussex. Dermot has made an experimental batch of The Trouble With Dreams 2013 with 12g/L instead of 6g/L. Still a Brut, but fleshier and more intense. Highly concentrated, recently disgorged. Ripe red and green apples, mineral leanness, this is a fantastic wine in the making, still just a baby. A very ripe vintage – 2010 is Dermot’s favourite. Highly complex nose with lacy energy. It dances. A lovely elegant wine. Green apple notes with lemony hints, a very attractive saline mid-palate and a crab shell edge. Still quite lean, this will age beautifully. The dog on the label is Dermot’s Noodles. Chatting to Dermot in his winery and in the vineyard left me contemplating all week about how monumentally important he is to the English wine industry. Not only that, but he’s an amazing guy too. Incredibly kind, patient and chatty – the UK is lucky to have him. He has just won all the top medal spots at the IWEA, a very well deserved achievement. He has also just been travelling in South Africa, visiting the likes of Adi Badenhorst for some more wine inspiration. He has a very exciting future ahead. Wiston wines are available through Corney and Barrow. Sugrue Pierre is through Hallgarten Druitt Novum. Both ranges are available to buy directly through the website. The Wiston Rosé is also available to buy to consumers through SWiG.